Our teachers are passionate about music and the development of children. 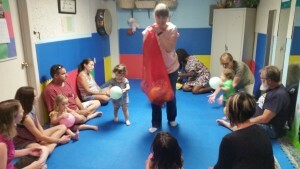 They create a fun, informal, social setting that spurs engagement and supports each child’s musical development. 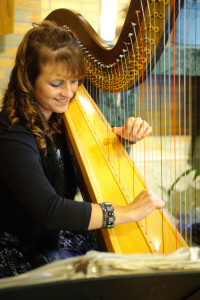 Lucia Marone is currently a music teacher for the Vineland Public Schools and an accomplished harpist. She earned her Bachelor’s Degree in Music from Immaculata University with certificates in Music Education and Music Therapy. She also holds a master’s in Educational Instruction and Curriculum and is currently the director of the Music Together® program at M & M Music in Vineland, New Jersey. Lucia has been awarded “Teacher of the Year” in Vineland and received a “State Employee Award” for Music Therapy services at Woodbine Developmental Center. Her former students have also nominated her for “Who’s Who Among American Teachers.” In 2017, she worked on revising the New Jersey Music Education Standards. Lucia’s parenting experiences and twenty years of hands-on teaching have brought her insight on how all children are musical. Kristin Howe was the product of a musical household, her father toured in a jazz band for years before settling down as a private music teacher himself. So, it was inevitable that she’d learn an instrument someday. With music lessons starting at the age of five with violin, clarinet, guitar, alto sax, ukulele, Kristin finally settled on two instruments after falling in love with piano and voice. With a Bachelors’ degree from Immaculata University in music, she perfected her vocal technique and advanced her piano skills with four years singing with Delaware Valley Opera Company, some musical theater experience and sound engineering training in local recording studios. Kristin has been teaching private piano and voice since 2002. Growing up in a musical household where everyone played or sang every day, Kristin is an example of what Music Together is trying to achieve; a lifelong love of music.